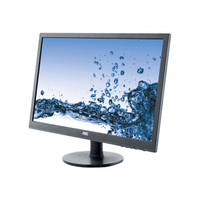 MON-E2070SWN 19.5" "LED monitor - mercury free, low energy consumption and high contrast. This versatile single-cable solution allows you to easily connect your display to devices like computers, laptops, game consoles and media players. 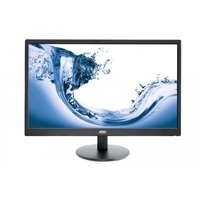 MON-M2470SWH This 23.6" LED display is designed for fast-paced fun and entertainment, plus offers impressive performance for all your home computing needs. MON-E2770SH 27" Monitor. Energy-saving LED backlighting. The convenient built-in speakers provide rich, clear sound. MON-U2879VF 28" Monitor. Sharper viewing, smoother action. This 4K display is ready for super-smooth entertainment content at 60 frames per second. 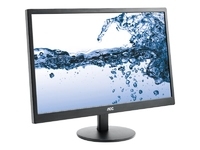 MON-Q3279VWF 32" Monitor. A wide range of inputs including Display Port, HDMI, DVI, & VGA ensure compatibility with devices, both new & old.